Does your life put Christ in a place of honor? 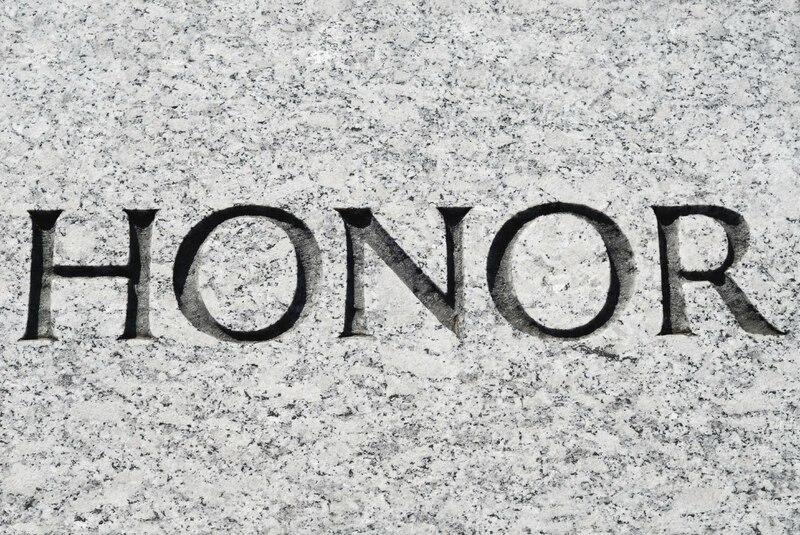 Honor is a funny thing in our society. Normally it is given to those who have earned it. It was never designed to be given simply due to a title — it was something to be acquired. We honor judges, politicians, clergy, successful businessman and public officials all because of the service they give. We honor fathers and mothers mostly because the bible tells us so and we even honor our spouses — sometimes whether they deserve it or not. Teachers are honored, seniors are honored and even a person who has done a good deed can get our honor. We know that Christ died, “while we were sinners” and “while we were without strength”. His death, burial and resurrection which are the very facts of his gospel had a profound effect on our place of honor on judgement day. You see, his death (shedding of his blood) cleansed our sins and made reconciliation possible. For now God can begin a new relationship with us because of that death. His burial was just as important as it serves as the launch pad for resurrection. You have to have a death and burial or else there is no need for a resurrection. Baptism serves as our burial (launch pad) today as anyone who believes on Jesus and is baptized shall receive a resurrection. The last part is the resurrection or newness of life. Jesus’ life is what actually saves us (re: Romans 5:10). We are baptized into his death and are resurrected into his life. So that when God judges me, it will be on the merits of Christ’s life and not my own. His life was perfect and my life will be his. This is what is meant in Gal. 2:20 when it says “I am crucified with Christ, nevertheless I live, not I, but Christ lives in me.” Gee, I wonder how that happened? So, I have been placed in a position of honor by God and I am now to live a life worthy of the honor I have been given. I have been accepted in the beloved and because of grace that is where I shall stay. The life that I now live in the flesh is a life lived by faith in the son of God who has loved me and gave himself for me! If I really understand this, then my life must honor his gospel. If I am to take my place in glory it will only be because I demonstrated my understanding of what Christ did for me by my life. There is no greater honor than this. Amen! SoooThankful for His Grace!